For one immigrant, funeral business was a way out of the mines. The faces in the old photo are serious. Wearing black coats and somber faces, these men offer a stark contrast to the women in white gathered on the South Bethlehem sidewalk. 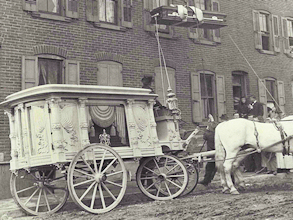 The open hearse with casket tells the story of death. From the windows the shawl-draped figures mourn the passing of a loved one. The loss and the pain on the faces is clear. It's the turn of the century. Industry, built by the hands and backs of these ethnic Europeans that look back at us, has transformed the nation. But a price had to be paid. It came in the form of long hours, crippling illness and sometimes death. The grim reaper was not an unfamiliar figure in their lives. These immigrants had seen his shadow all too often in the Old Country. And their lot in America was not always much better. In the mines or factories, a death with dignity was usually denied. But a decent funeral was one way to grab back some of their humanity. And that's where the man at far right came in. With his shiny top hat, frock coat and wing collar, the funeral director, or undertaker as they said then, represented dignity and respectability. And for the ethnic people of South Bethlehem, the man who filled this role was a talkative Irishman named Joseph F. Kinney. It is his business that, under the name of Downing Funeral Homes, recently marked its 100th anniversary. Being among the early waves of 19th century immigrants, the Irish took the lumps first. And Joseph Kinney knew what those lumps were from personal experience. Born in Ashland, Schuylkill County, in 1863, he went from a few brief years in public school to the coalmines. There, like a lot of other children, Kinney began as a coal breaker boy. Next to him, picking slate, was a boy who would become the Catholic Cardinal of Philadelphia, Dennis Dougherty. At age 14, Kinney survived a mine explosion that killed six of his friends. He never forgot those years and for the rest of his life tried to help those who followed in his footsteps as an active member of the Ashland Boys Association. Sometime after this event, Kinney decided that a life in the mines was not for him. He went to Girardville and apprenticed himself to learn the trades of cabinetmaker and undertaker. 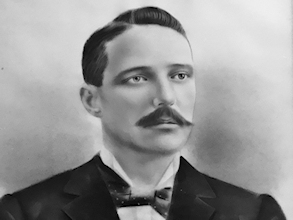 In 1883, Kinney went off on his own to set up a business in the town of Mahanoy City. Kinney's training was not unusual. As was the case with most professions in America 100 years ago, funeral directors did not attend professional schools. Like the doctors and lawyers who learned by working with someone, an undertaker had to be an apprentice. And combining the jobs of furniture maker and funeral director was not unusual. 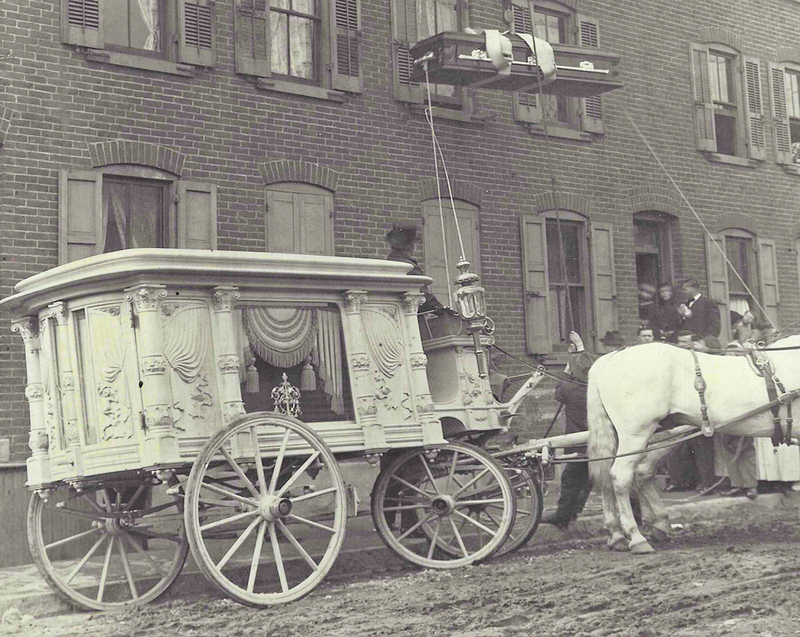 Many 19th-century funeral directors also sold furniture. It was May 30, 1889, when Joseph F. Kinney arrived on the South Side of Bethlehem. He opened his first funeral home at Third and New streets. But by 1892 he had moved to 308 Brodhead Ave., where the business was to remain until his death. 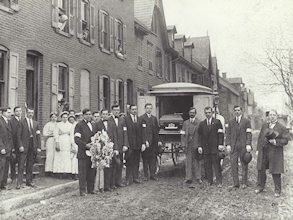 It was not until 1895 that the first state licensing laws for funeral directors were issued. 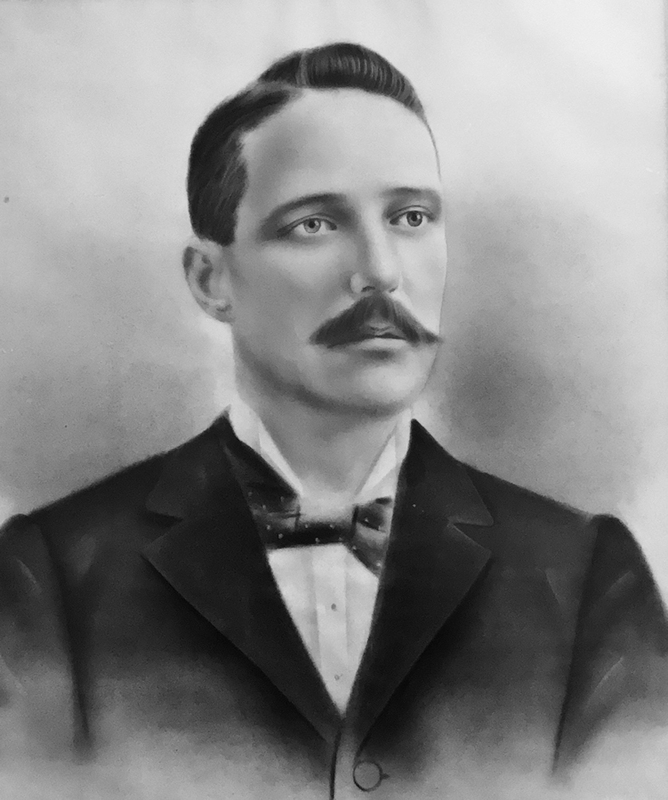 Kinney received his 10 years later in 1905. By that time, Kinney had married Elizabeth O'Reilly, joined Holy Infancy Catholic Church and became a charter member of Trinity Council 313 of the Knights of Columbus and St. Bernard's Society. But Joseph Kinney was not all wing collars and top hats. He was a star football player on the Temperance Athletic Club's football team. For years, old timers would talk of Kinney's skill on the field on the day that Temperance walloped the Lafayette College football squad 78-0. Joseph Kinney was also drawn to politics. He became active in the Democratic Party and served a term as "poor agent", the borough official that dealt with the poor. In 1916, Kinney expanded his business affairs with the purchase of the Broadway Hotel at the corner of Broadway and Gorham Place. With his hotel and funeral business, Kinney was able to support himself, his wife and three children, Mary, Joseph Jr., and Elizabeth. But young Joe had no interest in following in his father's footsteps; at least as far as the funeral business was concerned. He graduated from Lehigh University with a civil engineering degree. In the Depression years, Joseph Kinney Jr. became proprietor of the popular Kinney Café, Later the Wyandotte Hotel. His large Lehigh University student clientele gave him the nickname "Mr. Lehigh." Kinney eventually took up a career in engineering in New York City, where he lived until his death in 1959. Realizing that his son was not interested in the family business, Joseph Kinney turned to his daughter Mary and her husband, Herbert F. Downing, a native of upstate New York and former employee of the Wall street firm Bankers Trust. It was in 1923 that they went into a partnership as the Kinney-Downing Funeral Home. But in the early 1930s, an illness struck Joseph Kinney Sr. He died on Oct. 23, 1931. With that, the business adopted its current name, Downing Funeral Home. In 1947, Herbert's oldest son James T., who had just returned from service in the Army Air Corps in World War II, joined the business. At Herbert Downing's death in 1967, his wife Mary received a widow's license (a license unique to the funeral industry) and ran the Downing Funeral Home with her sons, James and Charles, until 1978. 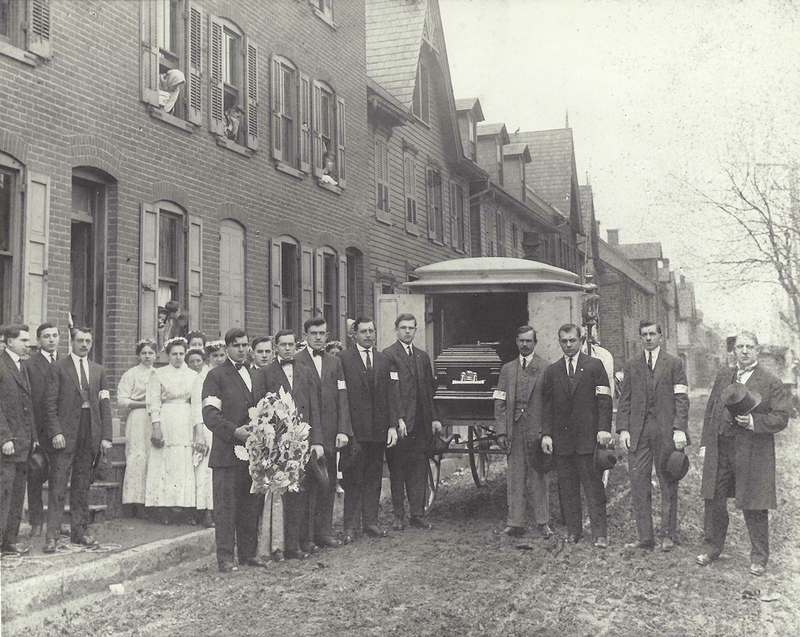 A lot has changed in the funeral business since that May day in 1889 when Joseph F. Kinney Sr. first put on his top hat and headed down South Bethlehem's muddy streets. But for the Downing's, over 128 years of tradition define who they are. In 1986, with Jim's health ailing, the two brothers merged into the present day Downing Funeral Home, Inc. Jim's grandson, Jason Hennigh, started at the funeral home in May 1989. The same month 100 years after his great grandfather opened the funeral home. With Jim's passing in 1990 Charles groomed Jason to eventually take over the family business. In 1995, Jason started purchasing shares and ultimately the entire family business in 2004. In 2006, Jason purchased Kohut Funeral Home, Inc. in Allentown. The Downing and Kohut families had worked together since the late 1940's. In 2005, Felicia Wiedemann came on staff as a student, intern and then as a licensed funeral director for the funeral homes. As she became part of the "family", in 2012, Felicia began purchasing shares of both funeral homes.